Besides the frequent sales at many of the shopping malls and the favorable currency exchange rates, the other reason why many people love KL shopping is to discover brands and eateries that cannot be found in Singapore. And if you want to save some money for your shopping spree, then consider taking a bus from Singapore to Kuala Lumpur which will cost you as little as $10(1-way) and no worry of excess baggage. Here's the "must-go" for KL shopping: the Suria KLCC and Pavilion KL. Some other malls in the Bukit Bintang area which are worth a quick visit are Starhill Gallery, Berjaya Times Square, Sungei Wang Plaza, Lot 10 and Low Yat Plaza for electronic gadgets. In additional to shopping malls in Bukit Bintang area, you might want to visit some of the larger malls in the suburbs such as Mid Valley KL, One Utama, Sunway Pyramid, The Gardens and The Curve. Located in Kuala Lumpur City Center, Suria KLCC is a high-end shopping mall that is home to international renowned brands such as Armani, Chanel, Cartier and Louis Vuitton etc. It offers products and services on multi faceted levels to cater to the diverse needs of shoppers from around the world. Suria KLCC promises the zest of today's fashion, mouth-watering flavours of culinary galore, indulgence of pampering services alongside the convenience of everyday shopping. Suria KLCC is connected to the Imbi Monorail Station at the concourse level. It is well equipped with customer-friendly facilities such as polite service staff, sufficient parking bays, a post-office which operates daily and money changers. For tourists, do get the Privilege Card from the concierge area and all you will need to do is to present your passport/NRIC for verification. The card entitles you to discounts and incentives at participating outlets. Centrally located in the golden triangle area of Bukit Bintang, Pavilion KL offers a world-class retail experience. With over 430 stores, it provides a fine selection of local and international retail brands. Ranging from fashion, beauty, to electronics and housewares, Pavilion have offers that will suit your daily needs. Pavilion offers a Tourist Reward Card to which allows you to enjoy discount at over 100 participating stores. The Fahrenheit 88 shopping mall, aka F88 KL, is located in the heart of the central shopping district of Malaysia's capital, Kuala Lumpur - behind Lot 10 Shopping Centre, opposite the famous Pavilion KL. It is just 5 minutes walk from the Bukit Bintang monorail, which makes it very accessible for shoppers. For you next shopping trip to KL, you might wan to coincide with the Malaysia Mega Sale. 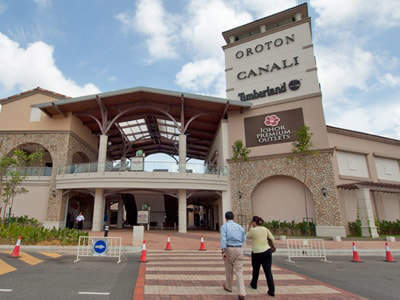 Every year during the months of June, July and August, you can get up to 70% discount at shopping malls in the KL Golden Triangle and in the suburbs. In fact the mega sale in Malaysia is not restricted to the capital city but throughout the country. 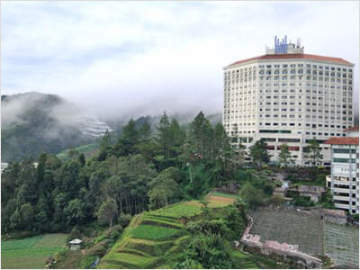 So you will also see the mega sale in Genting Highlands, Malacca, Penang and etc. 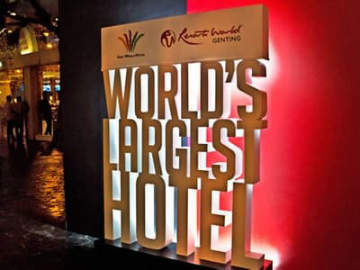 As in previous of Malaysia Mega Sale, credit card companies such as Mastercard would launch their mega sale promotion and offer additional rebate and lucky draw. So mark the date on your calendar and make at least one shopping trip to Kuala Lumpur during the months of June, July and August.